The Nordic Fire and Safety Days was held in Trondheim, Norway on 7.-8. June this time. From the Aalto fire safety engineering group, Prof. Simo Hostikka and doctoral students Aleksi Rinta-Paavola, Deepak Paudel and Teemu Isojärvi attended the conference. Prof. Hostikka had the honor of giving the first keynote lecture, with title “Handling overpressure and ventilation in modern building fires”, and discussing the risk of dangerous overpressure development when accidental fires occur in modern airtight buildings. 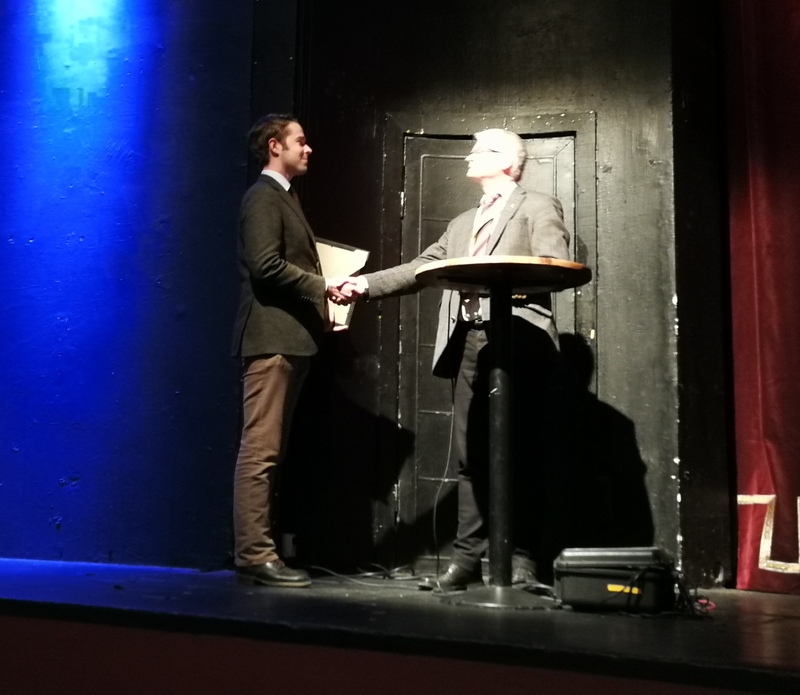 Aleksi Rinta-Paavola was awarded the prize for this year’s best fire science master’s thesis (congratulations! ), and gave a presentation “Numerical simulation of passive fire protection systems”. Aleksi Rinta-Paavola receiving his Master’s thesis award at NFSD 2018. Deepak Paudel presented his work in a talk titled “Modeling uncertainty in the prediction of wall temperature in compartment fires”. In his presentation, Deepak showed that we can take into account the model uncertainty when we use deterministic models for probabilistic fire risk assessments. Teemu Isojärvi had a presentation titled “Radiation transmittance through the liquid phase in an n-heptane pool fire“. The work is, to our knowledge, the first time when k-distribution method is used for liquid material radiation calculations. Some of the presentations will be shared publicly in ResearchGate. The event was a great opportunity to connect with other people working on either the practical or scientific aspects of fire safety. Now looking forward to the ESFSS 2018 symposium, to be held in Nancy, France in September.